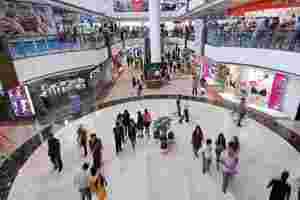 New Delhi: The finance ministry has given its consent to the draft Cabinet note on opening the multi - brand retail to foreign investment, an official said. “Finance ministry has given concurrence to the proposal of the Department of Industrial Policy and Promotion (DIPP) on allowing FDI in multi-brand retail sector," a senior ministry official said on Thursday. The DIPP had earlier circulated a draft Cabinet note to seek inter-ministerial views on the politically sensitive issue. The CoS had recommended 51% FDI in the sector with several riders. These included a minimum foreign investment of $100 million. The decision on FDI in the sector has been delayed in view of concerns that it would adversely impact neighbourhood kirana shops, which account for over 90% of $590 billion retail trade. These concerns have been voiced by several political parties and traders’ unions. Besides, the government is also contemplating to hike the ceiling of FDI in single-brand retail. At present, the country allows 51% FDI in single brand retail, 100% in cash and carry (wholesale) business, but bars it completely in multi-brand retail. Several global retailers like Wal-Mart and Tesco are waiting in the wings to entry into India’s multi-brand retail segment.